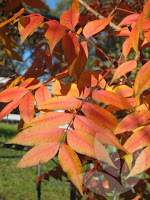 Coffs Harbour Garden Club: Is Autumn Colour Possible on the Coffs Coast? 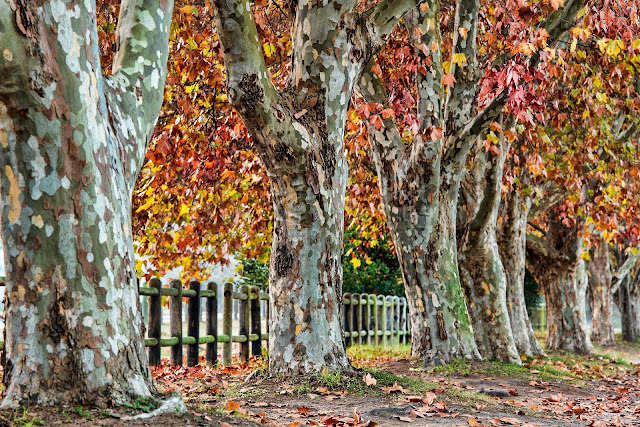 The quick answer is that the Coffs Coast will never be known for its autumn colour however, it is possible to experience some bold autumn colour and textures here. Ginkgo biloba (maindenhair tree) its fan-shaped leaves turn butter yellow in the autumn. Choose a male form as the female tree produces a smelly fruit as it falls. These trees grown 9m high and about 5m wide so an expansive area is needed to showcase it. It is possible to grow from cuttings - take a 15cm hardwood piece and place in propagating mix and keep moist, but not wet. Progressively repot into larger pots and grow them on until ready to plant out. 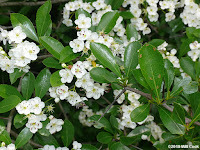 Hawthorn (Crataegus crus-galli) have white flowers in spring. 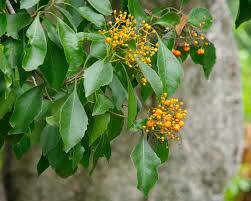 Their foliage turns red/orange in autumn and have red fruit which may persist after the trees have lost their leaves. They are not particular about soil type, although they do perform better in a deep loamy soil. 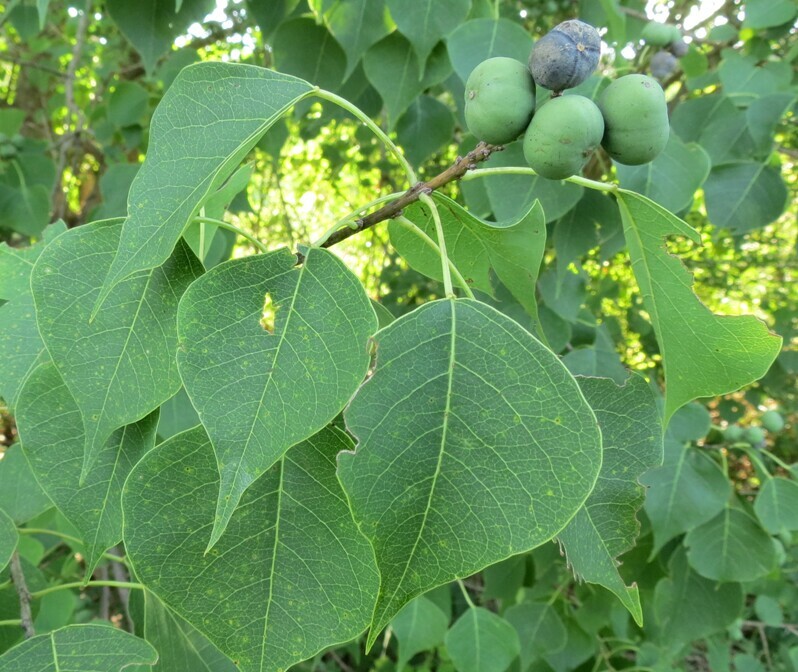 Chinese tallow tree (Sapium sebiferum) a long time favourite of gardeners which provides yellow, orange and burgundy coloured autumn leaves. Unfortunately it is fast becoming an invasive environmental weed of water courses and native vegetation areas. So it would be my recommendation to not go there with this medium sized tree even though it has pretty foliage colour. 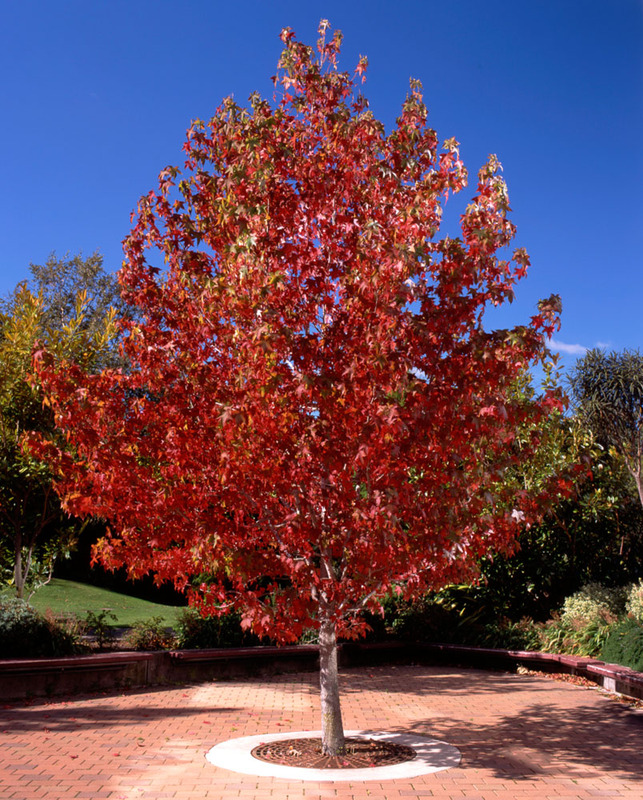 Liquidambar (Liquidambar styraciflua) or sweet gum is perhaps one of the most adaptable deciduous trees with various shades of yellow, orange, red and deep purple in autumn. Another one for plenty of space and requires good water resources during its establishment. 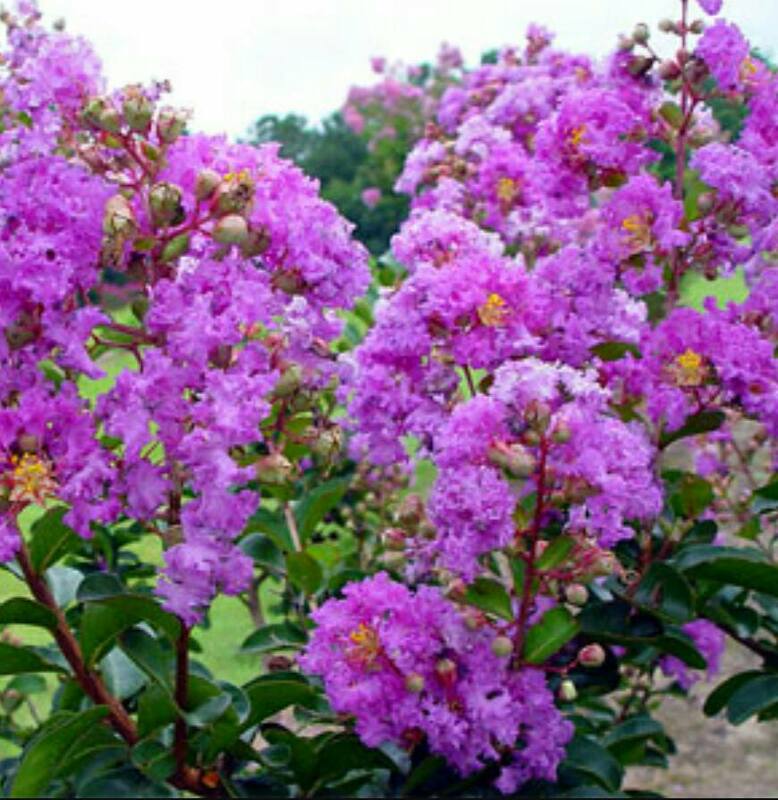 Crepe Myrtle (Lagerstroemia indica) is a deciduous, vase-shaped tree which grows to about 6m. 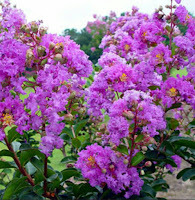 They are quite adaptable in that it can be severely pruned and grown as a shrub. The foamy trusses of white, pink, mauve or purple blooms appear in late summer. 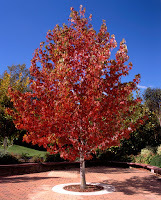 In the autumn, the mid-green leaves turn yello, orange or red before falling. These trees have the most amazingly beautiful smooth, mottled coloured trunks. A personal favourite, I have to admit! Claret Ash (Fraxinum angustifolia 'Raywood') one the easiest and most successful trees grown for autumn colour in frost-free climates. Their leaves really do develop into a variety of subtle hues of claret, often accompanied by pendulous clusters of winged seeds. 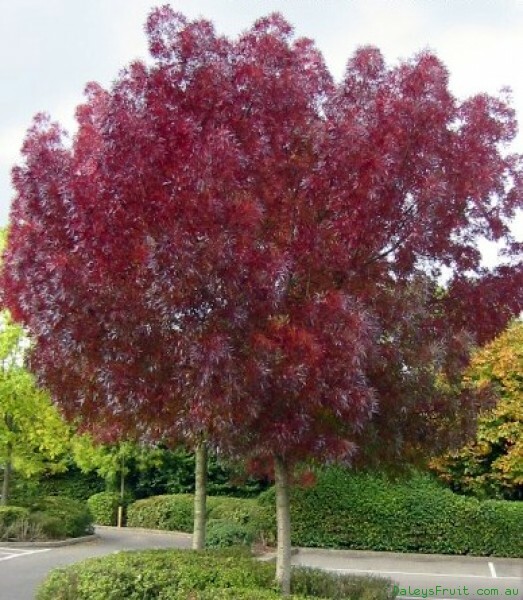 Due to its ease of growing Claret Ash are often used as street trees. Chinese Pistachio (Pistacia chinensis) a lovely small, fast-growing deciduous tree which has great autumn colour from bright orange to yellow or scarlet. 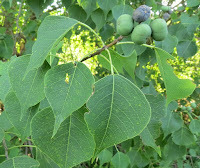 The bark is dark grey with shallow furrows and has interesting pinnate leaves. Diamond-leaf laurel (Auranticarpa rhombilfolia, syn. Pittosporum rhombifolium is an evergreen rainforest tree native to coastal northern NSW. In late spring, it is covered with white flowers which later turn into clusters of orange autumn fruit (which birds rarely eat) so these fruits persist into winter. Not real happy about heavy clay soils, it can be used as a hedge, large shrub or a semi-formal standard. So in conclusion, yes it is possible to have some wonderful colour although it has to be said, we will have to travel to colder climates to see eye-wateringly beautiful swathes of autumn colour. Thanks for sharing informative post. Pittosporum is a perfect hedging plant variety that helps in screening your home or commercial places.Some of its varieties include Pittosporum Silver Sheen & Pittosporum Green Pillar.